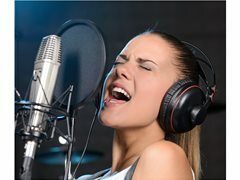 We have had great success from the last listing of this opportunity on Starnow where we have unearthed some outstanding talented singers. We are now developing some fabulous artists and have already signed one to our record label. This tells us there is a wealth of talent out there waiting to be found and we want more of you. So if you have missed this listing before then please get applying. Im a Songwriter, Musician and Music Producer and run a Music Production and Artist Development company called DooBeDoo Music Ltd.